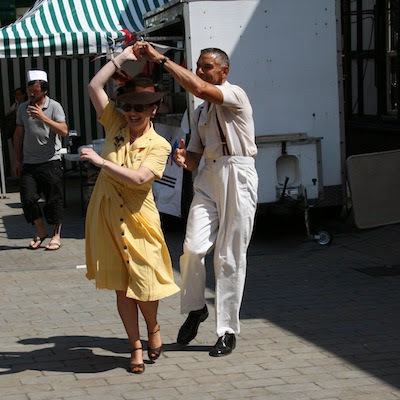 "Love what I bought today from @Vintage_Village lovely day lovely people @StuartThornley @allaboutAl @bathingbeauty1"
[Editor's note: that's our chum Michelle Bridges dancing with Bootleg Swing's Mark Sattler]. 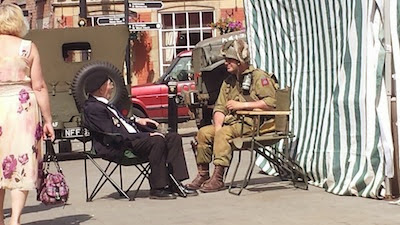 "Some interesting wildlife at the Stockport vintage market today." 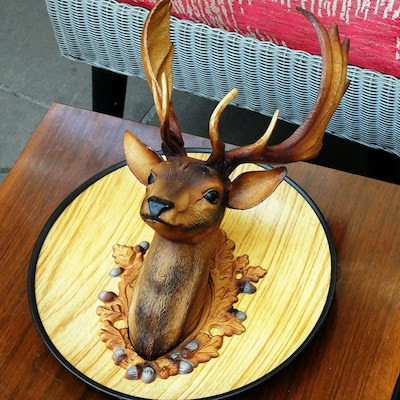 [Editor's note: this fine stag was on All Our Yesterdays' stall]. 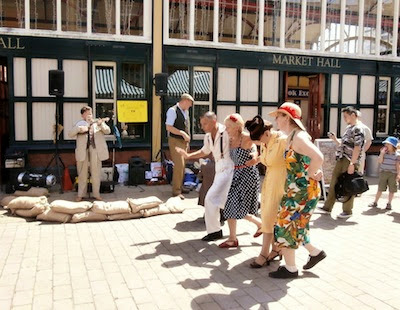 "A good day @Vintage_Village today! 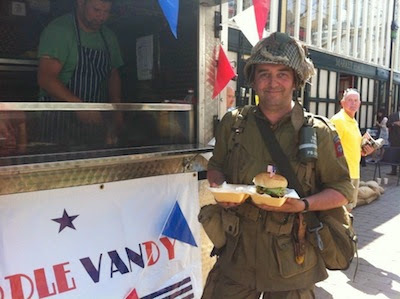 Over 1200 people enjoyed the 1940's theme & plenty sampled our 100% steak burgers"
"Books, books and more books from @Vintage_Village. 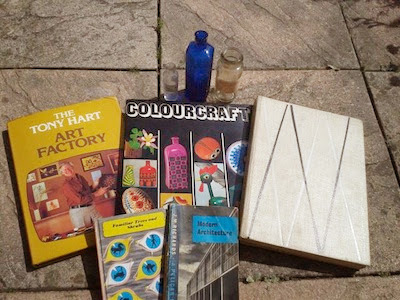 50s advertising annual from @EclectaBooks... bottles from Shabby Cheek and of course we had wonderful cake from @STCakeDesign"
"Fantastic day (again) yesterday. 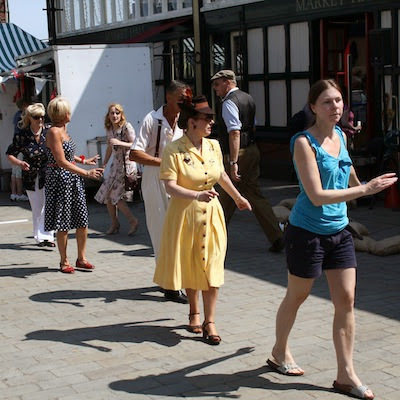 Well done to all the organisers." 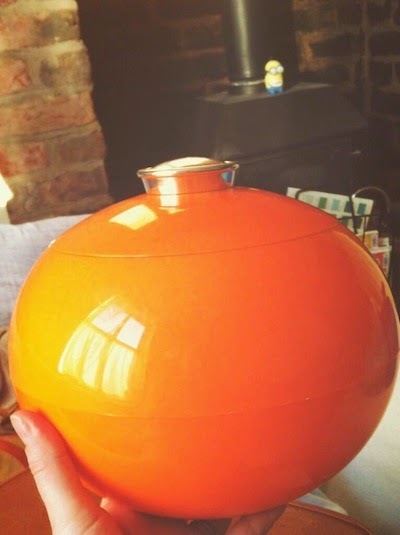 "Also my amazingly kitsch ice bucket I bought yesterday @Vintage_Village for a £5 for my new bar." 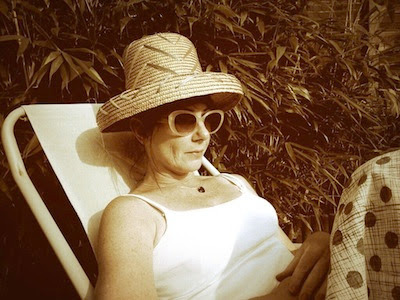 "@Vintage_Village Mrs Cyclist enjoying her purchase from @TinTrunk this afternoon." 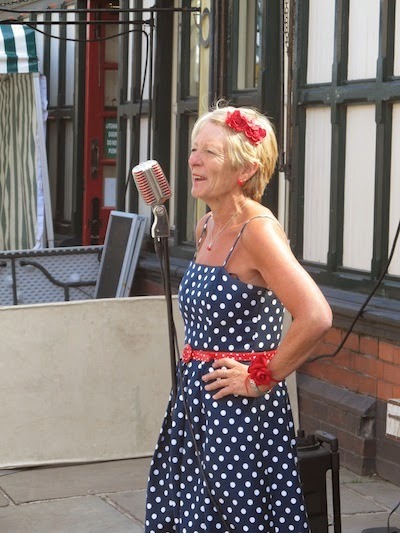 "From The Yanks in Stockport fair , I bought another suitcase for storing crafty stuff from Angela Dennerley's stall ( she never disappoints ! ) 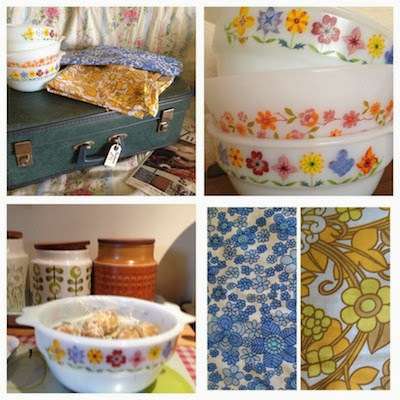 More Pyrex dishes from the fabulous Diane Black and more lovely fabric because I cant resist ( soon to be made into "Oh Deers!" [Editor's note: Angela trades as Kitsch Republic, Diane trades as Lonsdale Avenue]. 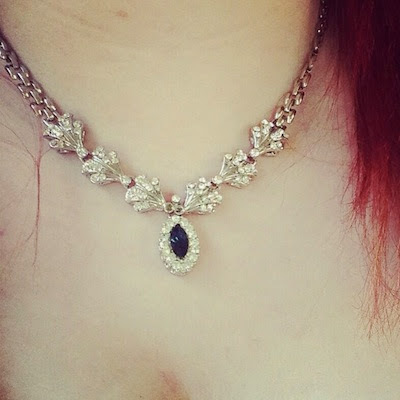 "Got this beautiful vintage necklace today at @Vintage_Village in Stockport!" 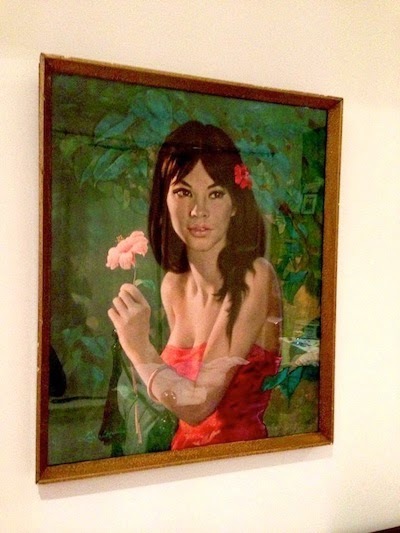 "My first time visiting vintage village and found a print I've been looking for for years! Great day. x"
[Editor's note: this lovely lady was from All Our Yesterdays]. 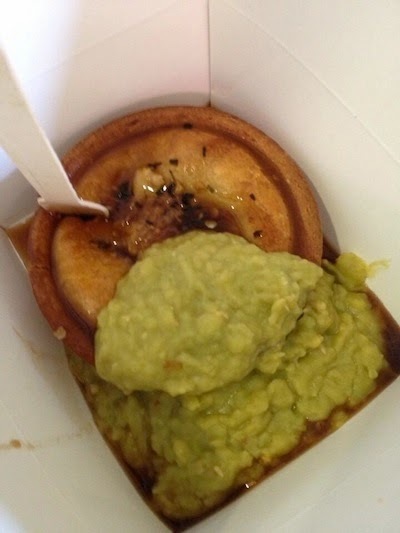 "That's my lunch sorted - a Woolton Pie from @LordofthePiesGB with a ton of peas!" 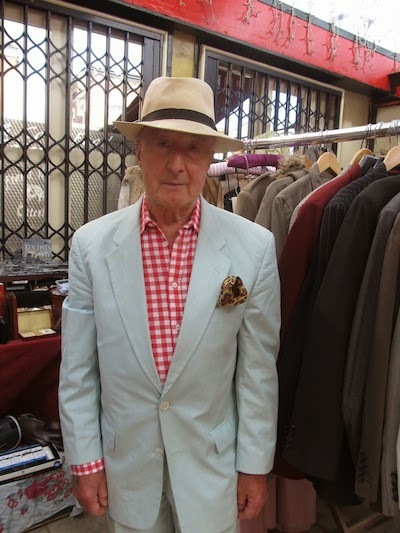 "Old Fashioned Sue trying on a frock for the Vintage awards." 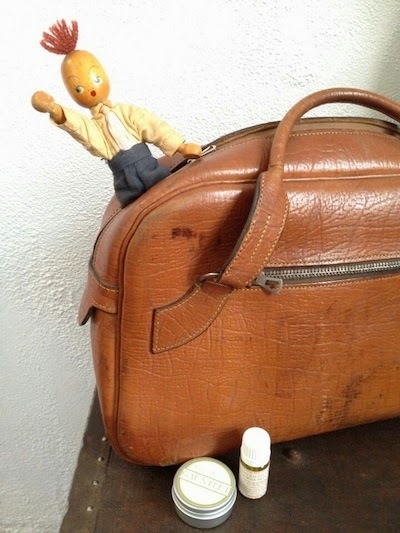 "Super finds @Vintage_Village - doll from @SquarePegShoes Garbo Antiques leather bag & @bathingbeauty1 treats"
[Editor's note @SquarePegShoes trades as Attic Bazaar]. 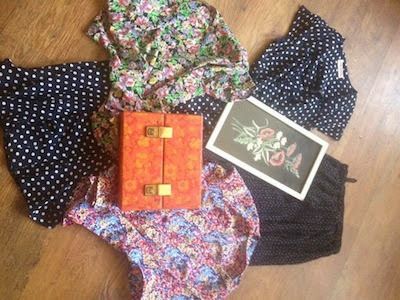 "Today's buys: vintage Hawaiian dress, a copy of Picturegoer from 1955, card & 70s punk patch off Sarah to mark my 1st anniversary of photographing VV, vintage sunglasses and thimbles to make into charms." 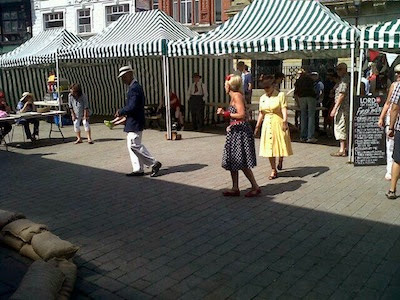 It was like a sun-drenched Mediterrannean piazza on Stockport's picturesque Market Place for our Yanks in Stockport Fair. 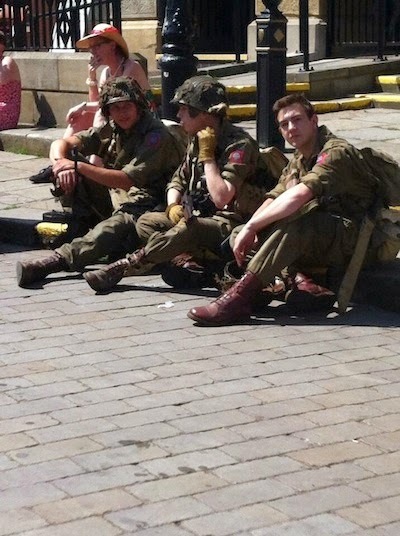 Well, a Mediterranean piazza sometime in the 40s welcoming a friendly invasion of GIs. 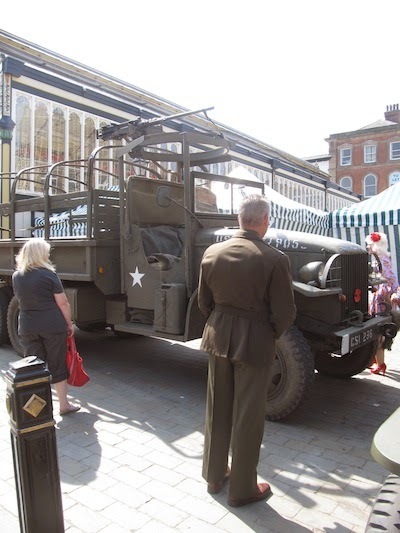 We sang along with Paul and Natasha Harper, danced along with Bootleg Swing, applauded the Best 1940s Outfit winners, admired the wartime trucks and jeeps courtesy of the Military Vehicle Trust and, of course, we indulged in some good old-fashioned vintage browsing. 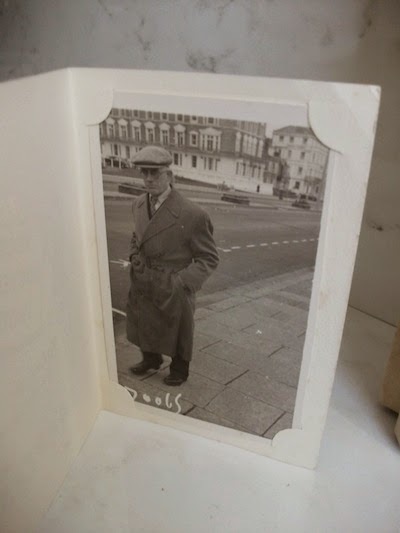 Here's the photographs our visitors - and traders - have kindly shared online, or at least all the photos I've managed to find (let me know if there's any I've missed, ta!) And they've made a fabulous Visitors' Gallery this month. Thank you everyone, nice job! 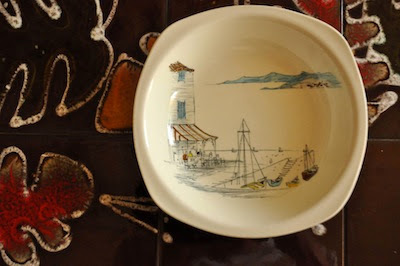 As usual you can click on the photos to see their original source, and you can click on the Twitter names to meet our lovely visitors - and traders! 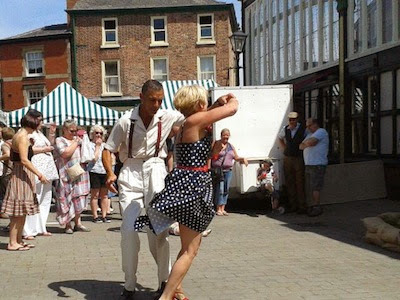 If you would like to contribute to our Visitors' Gallery, just tweet your photo @Vintage_Village so we don't miss it, or post it on our Facebook page. "Where have we been today? 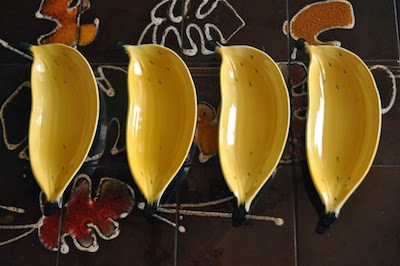 @Vintage_Village and I got an old tennis racket for our photo shoot #deathtocabbagewhites"
"What a great sunny day, ideal for these Carlton bananas"
"Fun at @Vintage_Village Yanks Fair"
"Parker, but that is just his pen name (i thought it quite funny)." 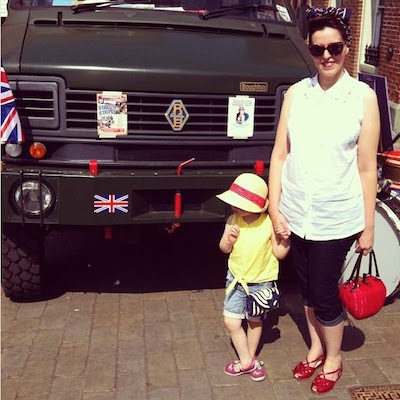 [Editor's note: Emma was our Finder of the Fair this month]. 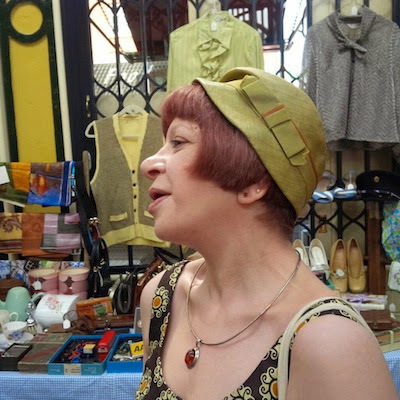 "Vintage Village regular, Louella, looking splendid in a chapeau de Strumpets Bazaar at today's @vintage_village"
"So pleased i went to @Vintage_Village even with a stinking hangover it's a treat and I'm loving my purchases"
[Editor's note: 70s orange cassette case from TinTrunk]. 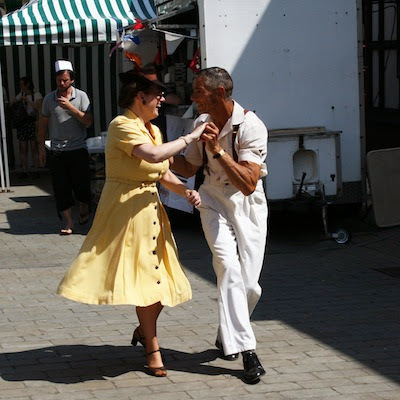 "The sun is out @Vintage_Village and the Yanks are here!" 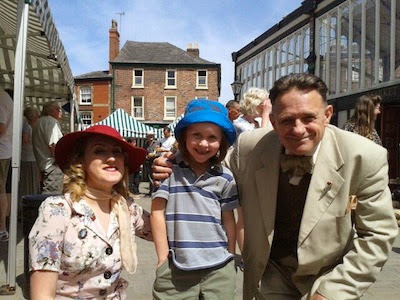 "And Alice and her favourite singers Paul and Natasha Harper @Vintage_Village!" 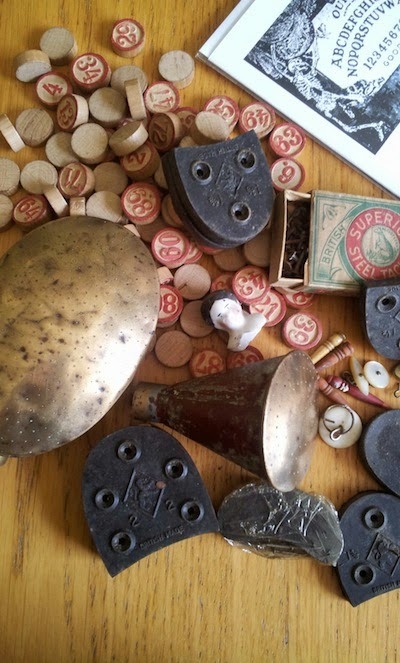 "Today's haul @Vintage_Village, the hand made watering can roses have made my day"
"Took @TinTrunk 's advice today & bought an airy (African?) 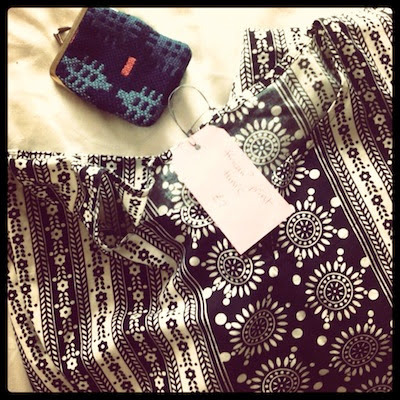 kaftan from @Vintage_Village along with a little Welsh coin purse- international!… the kaftan is that big I can't get it all in the pic!" 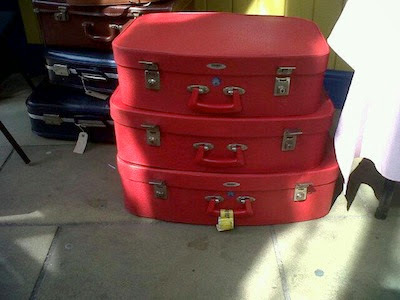 "Okay...I've been shopping to @Vintage_Village what an amazing trio of blood red suitcases!" 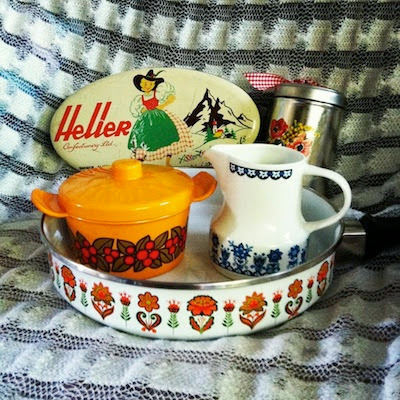 [Editor's note: these suitcases also feature in our Finds of the Fair this month, and were from Attic Bazaar]. 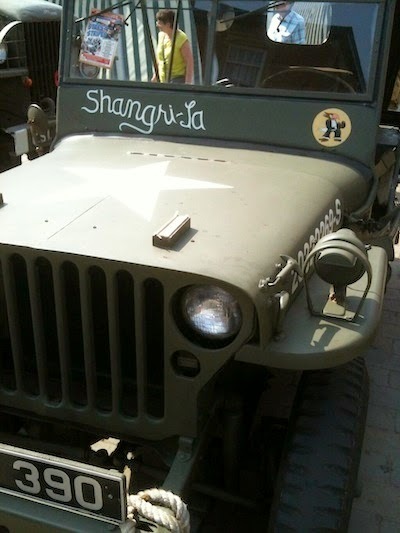 "Here's what I bought , can't remember whose stall, was too busy laughing... Inside - the man so grumpy on his holidays."